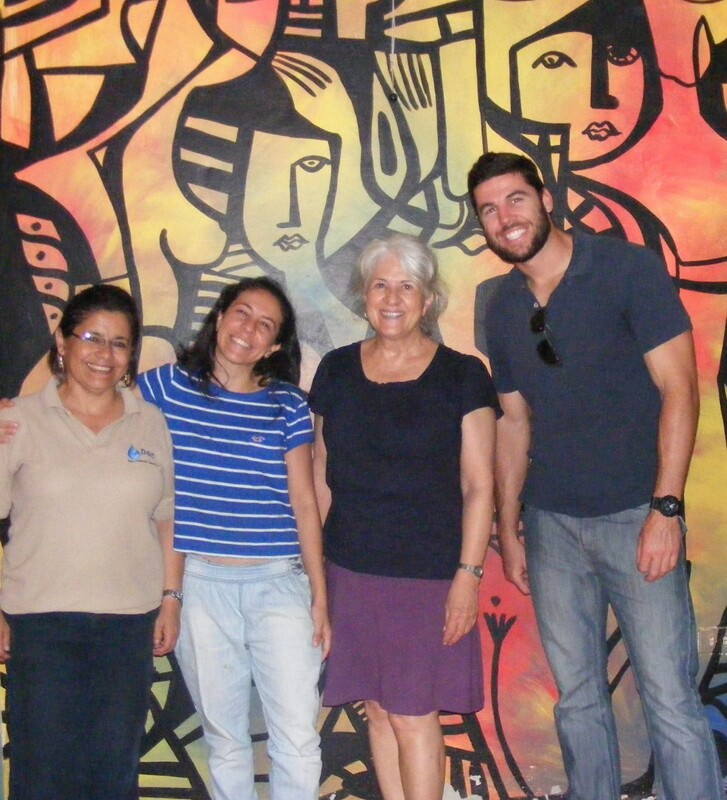 Rosemary Takacs first met Doña Maria of Las Vegas, Honduras, on an Engineers Without Borders USA (EWB-USA) trip to the Nahuaterique region six years ago. The returned Peace Corps volunteer had a knack for connecting with the children of the community, giving them coloring books and dolls her sister had made. The gesture did not go unnoticed by Maria, who was an influential landowner. “I was sitting on a rickety little bench, having lunch with women gathered around a wood stove, and this tiny woman started to yell at me about passing out more toys,” Takacs said. The friendship that grew from this initial tenuous introduction convinced Maria to advocate for EWB-USA in a bid for a water supply project that would serve two impoverished villages. Maria had much at stake. She had lost grandchildren to waterborne diseases. Located on the border between Honduras and El Salvador, Nahuaterique has been neglected while the two countries dispute the boundary set by The Hague in 1992. Communities in this region lack basic infrastructure such as roads, water and sanitation. Women and children walk miles unprotected to gather water from open streams and ponds that are often contaminated by agricultural and human waste. The 300 residents of the communities of Las Vegas and Caiman eke out livings on subsistence farming and suffer from malnutrition. The communities needed a simple water supply solution that could be implemented in the remote, mountainous region. After a false start with another aid organization, they partnered with a local NGO, Agua y Desarrollo Comunitario (ADEC), and the EWB-USA Jacksonville Professional Chapter (now a part of the EWB-USA Florida Professional Chapter) on a five-year project. EWB-USA has an established project process that allows volunteers, communities and NGOs to work together effectively. “The system allowed different people to come and pitch in as they were able to,” said project lead Karen Gonzalez. “It was sufficiently structured to guide this variety of players to accomplish the desired outcome together. Starting in 2013, the project team designed and built a gravity-based water supply system in three phases. Four mountain springs would eventually supply chlorinated water to metered tap stands at each home in the two villages. All project participants played important roles, with EWB-USA staff at headquarters performing quality control to ensure safe and sustainable design, the project team providing technical assistance and construction inspection, and ADEC contributing onsite project management and skilled construction supervision. Community members performed all of the labor. In early 2018, the final visit will ensure that the water supply system is functioning as intended, providing about 20 gallons per capita per day for drinking and cooking needs. The team will also provide training to the the Joint Community Water Board on system operation, maintenance and repair. With a reliable source of water, women and children are able to stay in their communities and use their time for other pursuits, such as education. The project also helped people in the community develop new skills. 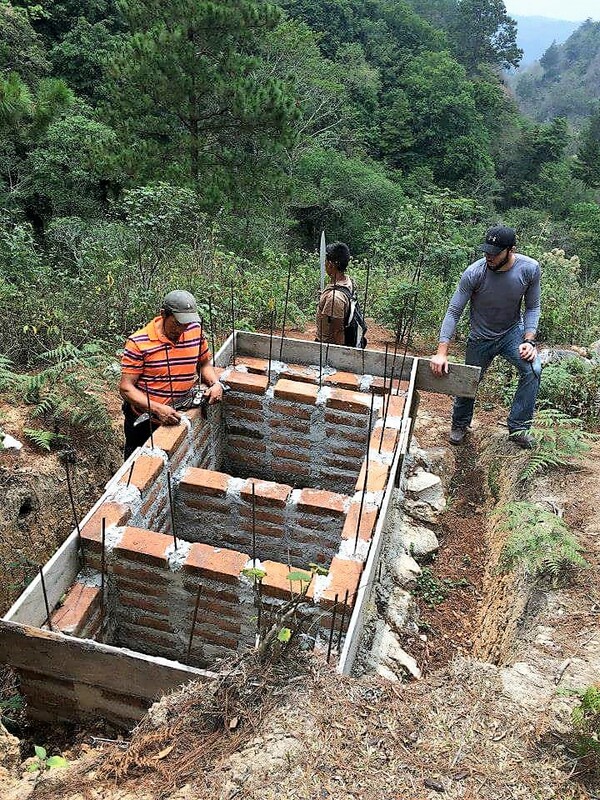 “While they may not earned a physical diploma, they had the opportunity to learn new techniques for source development, water storage and distribution, water treatment, construction and improved community organization,” Gonzalez said. Cathy Chatfield-Taylor is a member of the EWB-USA Florida Professional Chapter. 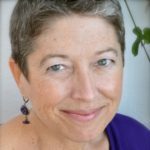 She writes about sustainable infrastructure projects as a freelance writer for AEC firms.